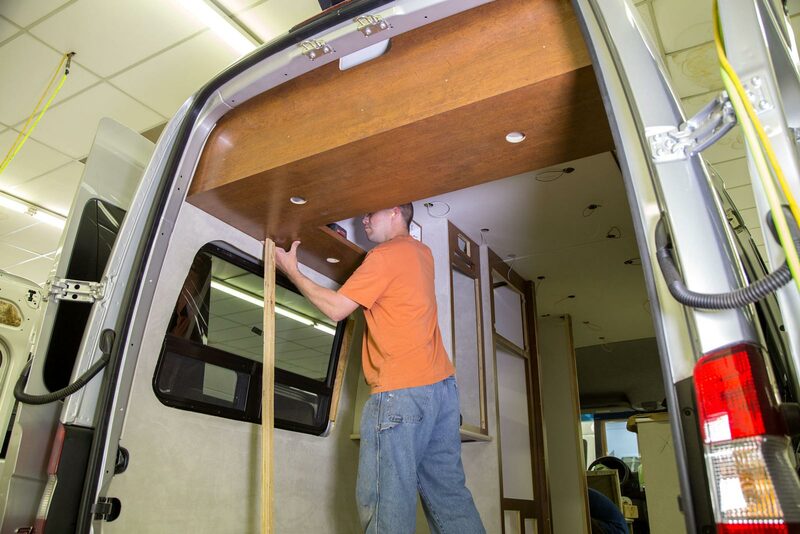 For 33 years, we’ve been hand-crafting luxury motorhomes with custom-fit interiors to exacting standards and quality inspections. Our commitment to quality is evident in every detail of our coaches and results in a first-class RV experience. You will not find an assembly line at Pleasure-Way. We do not use this popular and time-saving method of manufacturing. We refuse to sacrifice fit, finish, quality and safety for time and cost savings. 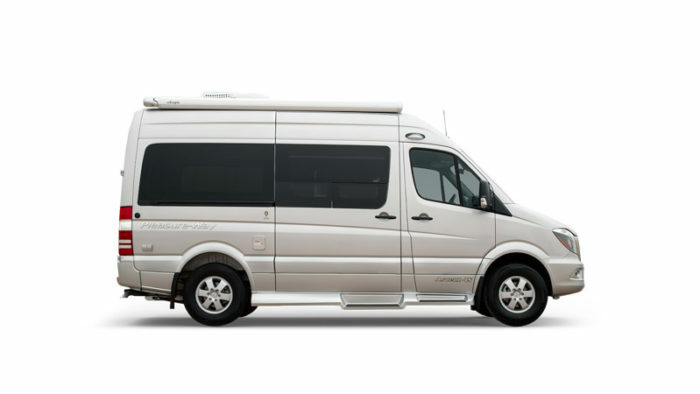 At Pleasure-Way, we give each motorhome we build the meticulous care and attention it deserves. On average, it takes six weeks and over four hundred man hours to finish just one Pleasure-Way motorhome. 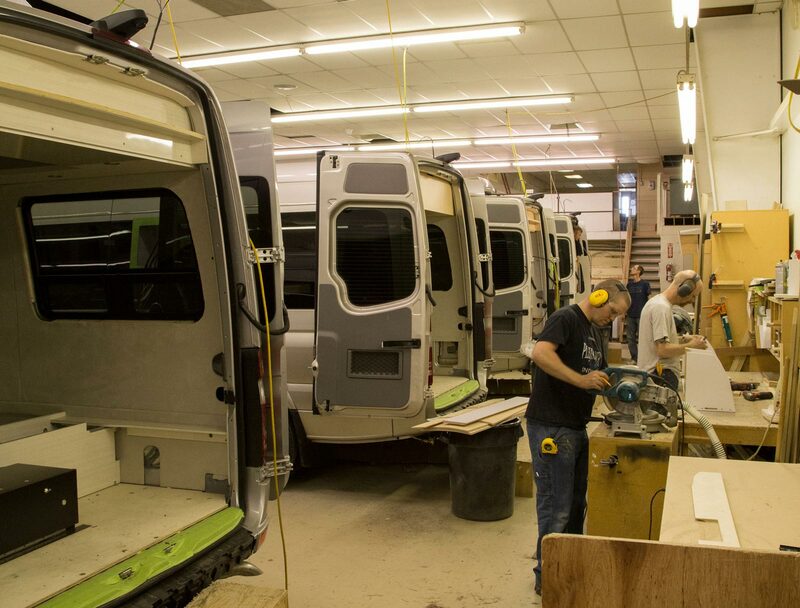 Pleasure-Way’s unique construction process strays far away from most recreational vehicle manufacturers that mass produce thousands of coaches in a fraction of the time. 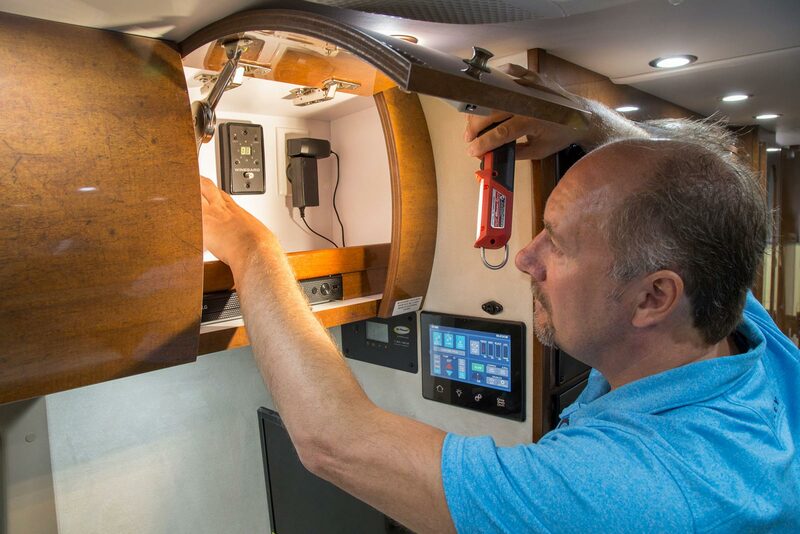 The construction of Pleasure-Way motorhomes involves measuring, constructing and hand-fitting custom made parts onto each individual chassis. Even though all chassis of a particular make and model, such as Mercedes-Benz or Ram, appear to be identical to each other, there can be slight tolerance differences in the body by up to a quarter of an inch. 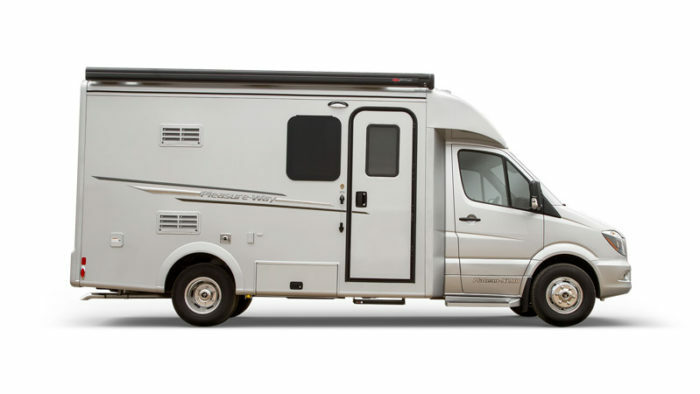 This can greatly affect the fit and finish of each individual component of the motorhome. That is why at Pleasure-Way we hand fit and trim each individual part, from running boards to wall partitions, to perfectly fit each particular coach. Once the specific piece has been custom fit, it will be serialized with that particular coach’s chassis vehicle identification number and it will be installed later in the production process to that exact coach. 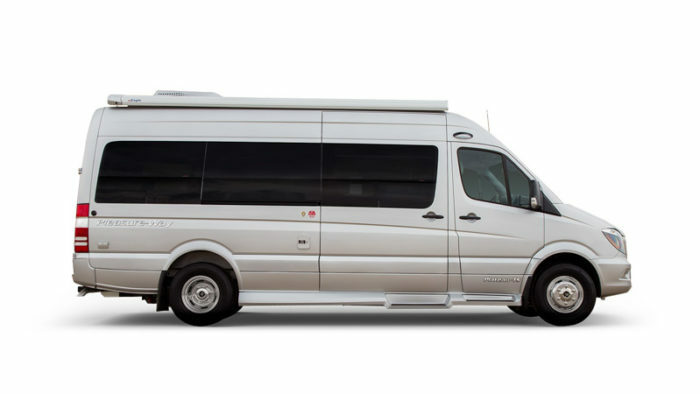 At Pleasure-Way, we give each motorhome we build the meticulous care and attention it deserves. 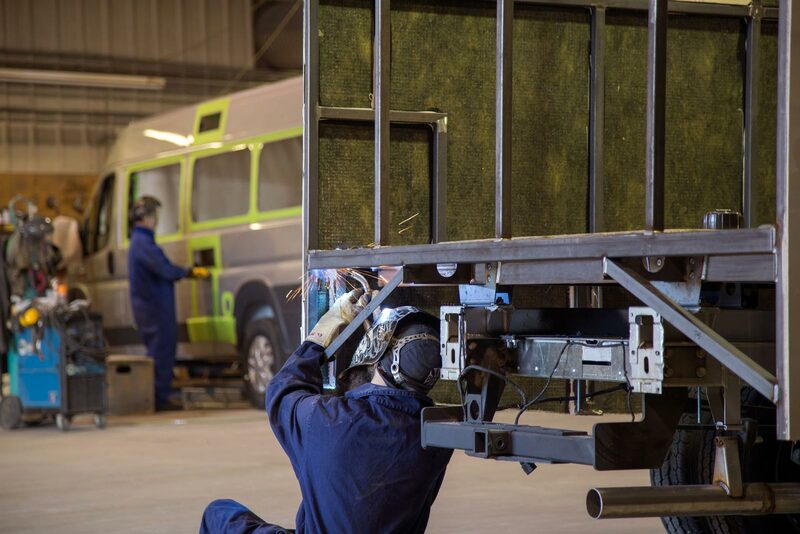 The first phase of the construction of a Pleasure-Way motorhome begins in the welding/metal fabrication department. 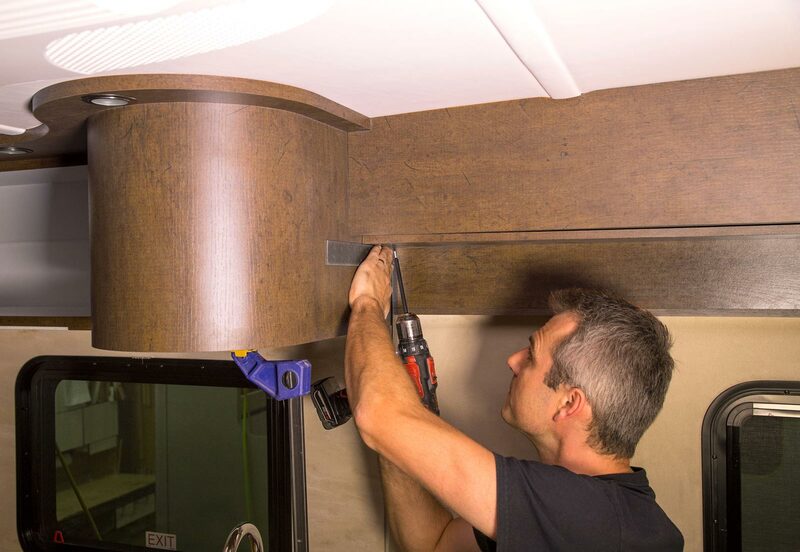 Here, the skilled team of fabricators precisely weld tubular steel to create the floors, roofs and side walls of the motorhome. The level of steel fabrication varies depending on the chassis and the coach design. 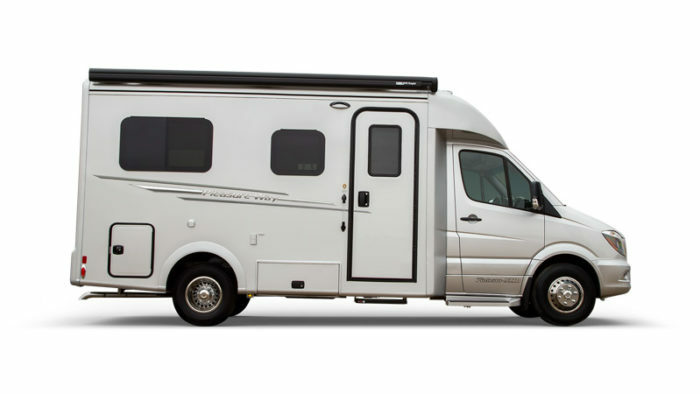 From reinforcing cut-outs on the Mercedes-Benz uni-body chassis to the complete steel-framed super body of the Plateau XL models, the time spent in this first phase of construction exceeds fifty hours per motorhome. As a comparison, an average class C motorhome that is mass produced is completely assembled and ready to paint in two and a half days. 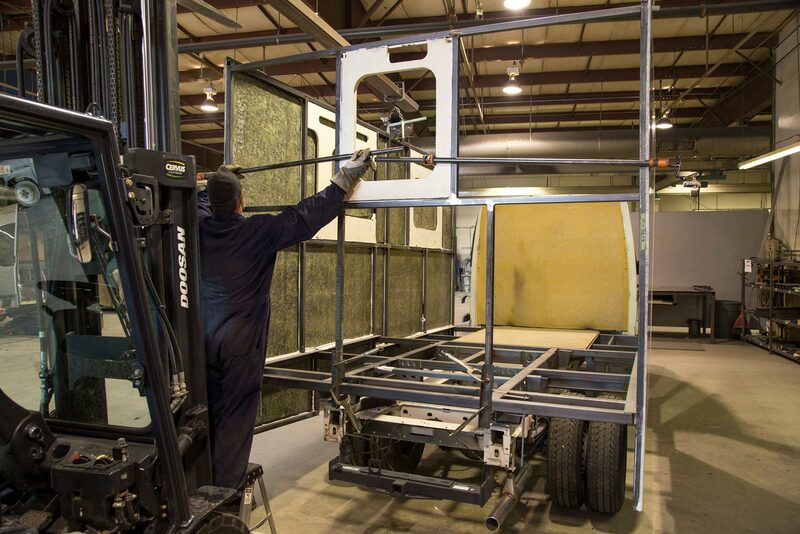 Once the welding process has been completed, the fibreglass department takes over and hand fits each customized piece of fibreglass to its specific coach. Each fibreglass component is formed into a mold and a trained team will methodically hand roll the entire part to ensure that there are no air pockets and the fibreglass is uniform throughout the part. This time-consuming process further ensures that each component meets or exceeds our high quality standards. Bonding fibreglass to either steel or fibreglass components is regarded as a superior technique relative to other forms of fastening. Fibreglass is bonded to steel using a product called Sikaflex®. 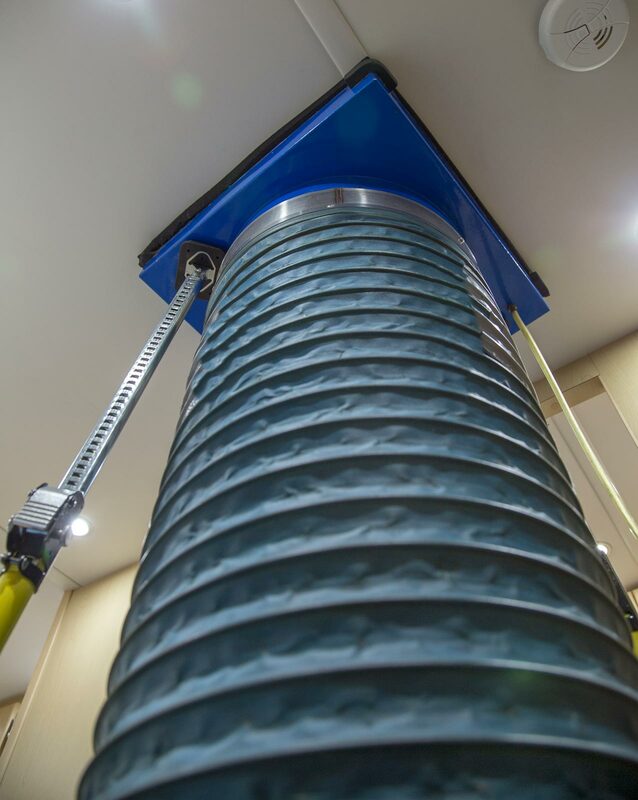 This special adhesive ensures a higher standard of structural strength. It also allows fibreglass components, such as our one-piece molded Plateau XL roof, to be attached to the body without having to use multiple fasteners. By eliminating the process of screwing exterior parts to the chassis, Pleasure-Way has removed potential entry points for water that typically plague the RV industry. 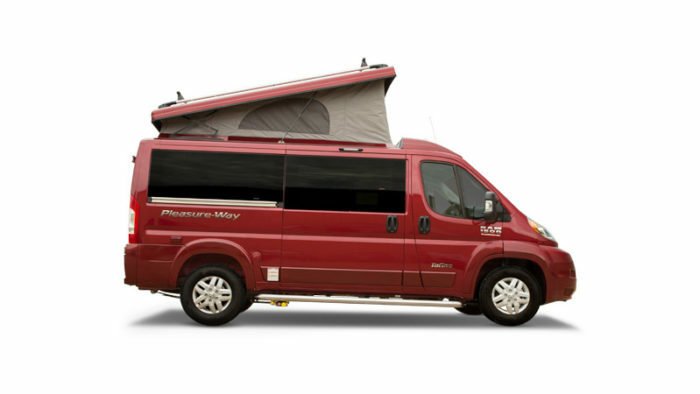 By eliminating the process of screwing exterior parts to the chassis, Pleasure-Way has removed potential entry points for water that typically plague the RV industry. 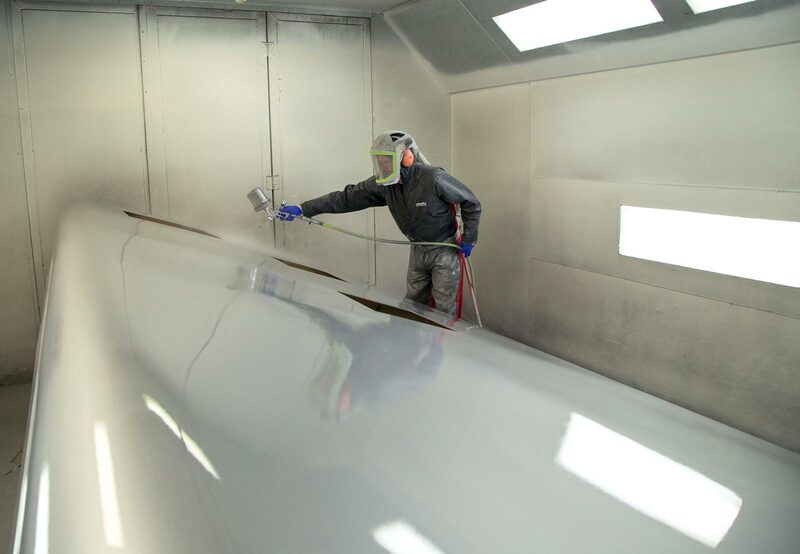 Another distinguishing feature you will find in Pleasure-Way’s production process is our use of Glasurit® automotive paint on all of our surfaces. Glasurit® is commonly found on such famous automotive brands as Rolls Royce, Bentley and Mercedes-Benz. 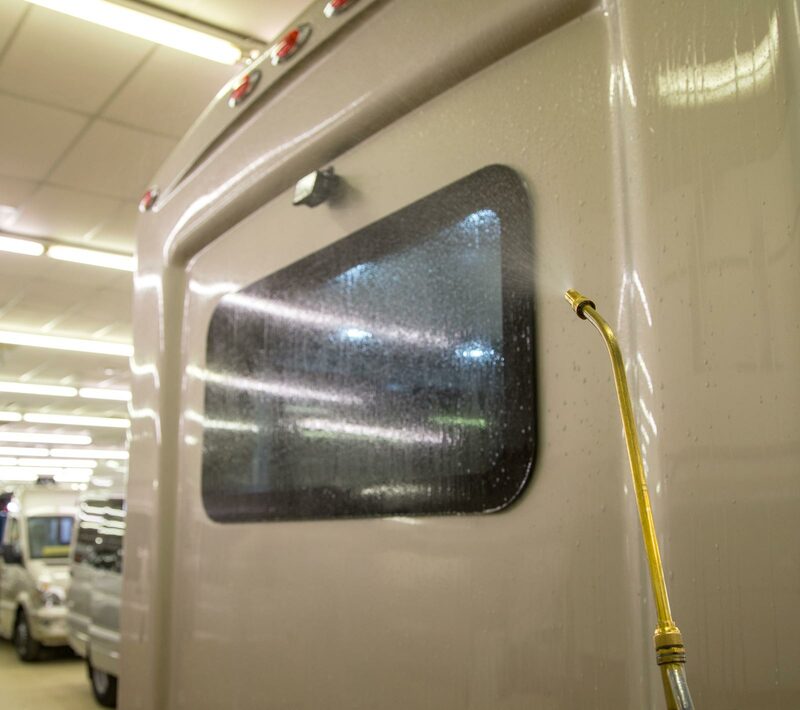 This product is far superior to the more common and far more economical gelcoat finishes typically found throughout the RV industry. 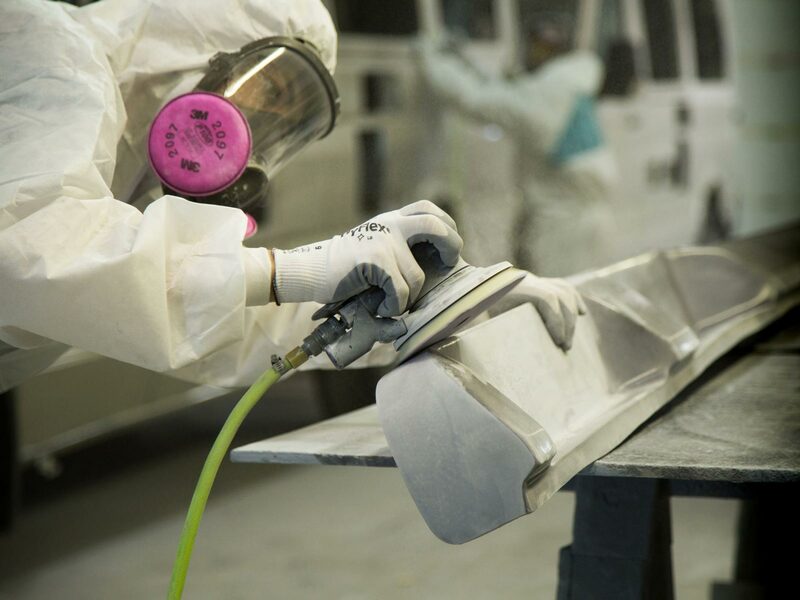 Each piece, such as the fibreglass running boards, is sanded, primed, painted and finally clear coated by hand to produce that perfect paint finish you expect to see on a high-end, luxury vehicle. 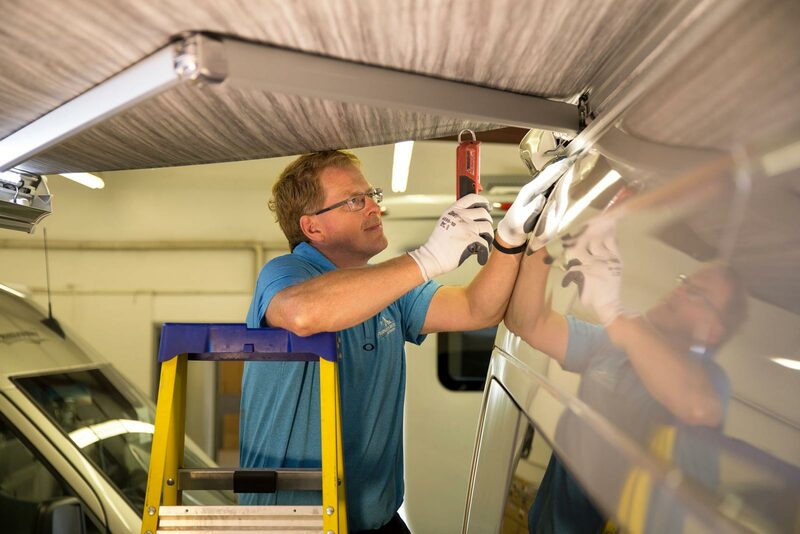 Even what are commonly considered to be the less consequential parts of a motorhome, such as exterior vents and hatches, are all painted to match the exterior of our coaches. Attention to detail and our commitment to quality and safety (as well as our refusal to compromise quality for cost and time savings) set Pleasure-Way Motorhomes above the rest. Beautiful, hand-crafted cabinetry is one of our hallmarks at Pleasure-Way. 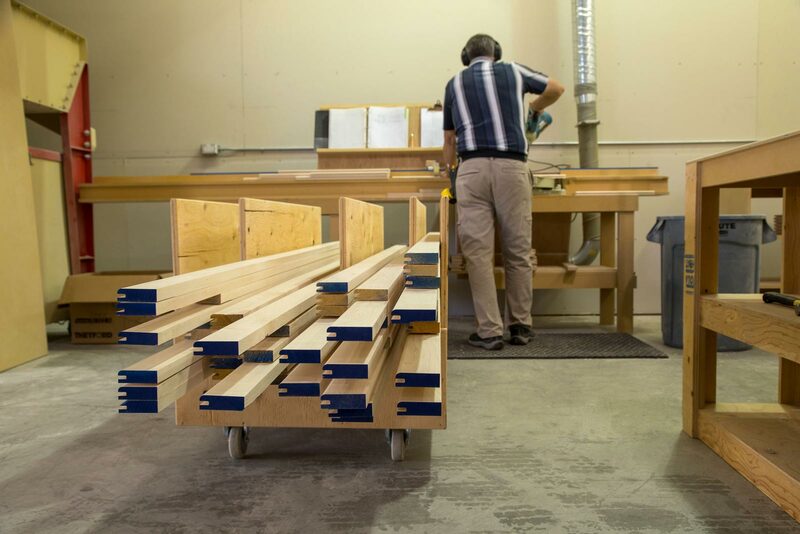 We create our custom cabinetry in our on-site mill shop. Here, our skilled craftspeople transform raw, hardwood maple into exquisite moldings and stunning stile and rail maple doors. 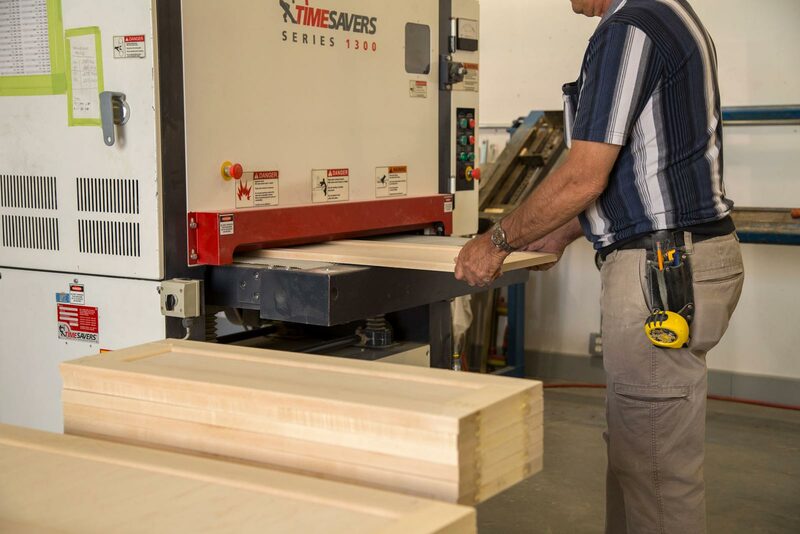 Our mill shop team place raw maple planks through a rip saw to create the individual strips of maple in the exact widths that are required to make our solid maple doors. After the maple has been ripped, it is placed through a moulder which shapes the planks to the appropriate thickness and profile. The maple is then cut to the exact measurement required for each individual motorhome. The maple strips are then run through a shaper to create the mortise and tenon joints. The strips are glued together by hand forming the door and clamped until dried. Once the maple door has dried and passed quality control, it is placed through a door sander to ensure it is the correct thickness. 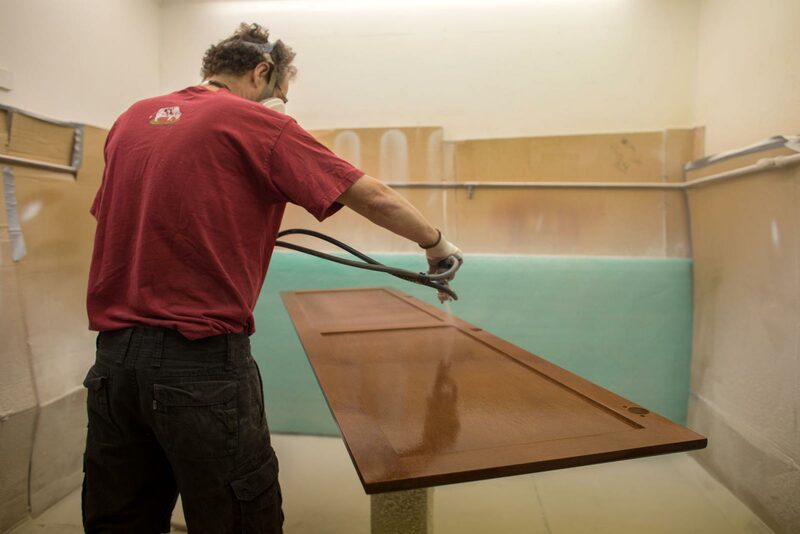 The door is then ready for the final finishing stage, in which the maple cabinet door is hand-sanded, hand-stained and lacquered. Each door receives three coats of stain and two coats of lacquer. All of our high quality stains and lacquers are water-based, which is better for the environment, as well as being safer for our employees and consumers. Our exquisite, hand-crafted cabinetry is very labor intensive to create. 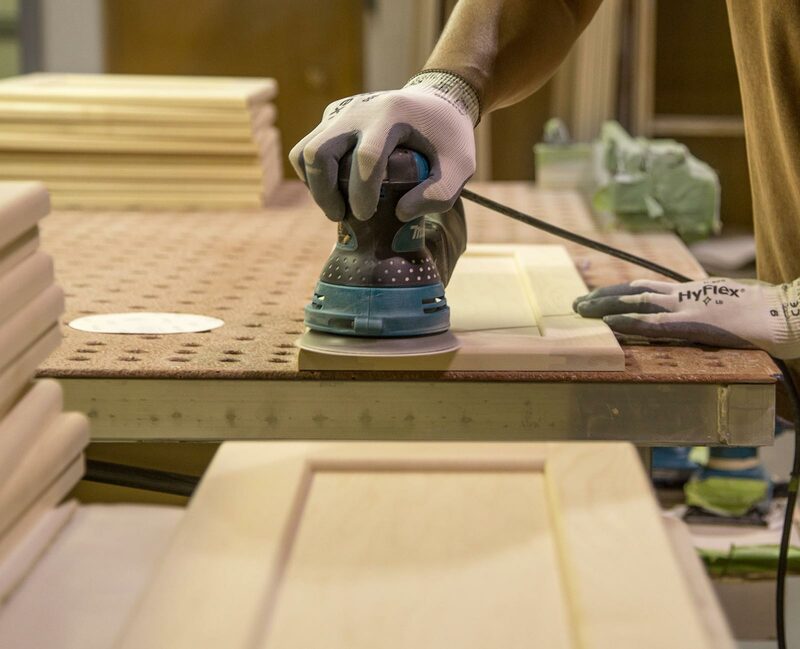 On average, it takes over twenty-two hours to finish just one set of cabinet doors for each and every coach we produce. On average, it takes over twenty-two hours to finish just one set of cabinet doors for each and every coach we produce. Most recreational vehicles are built on assembly lines, with the interiors and cabinetry stapled together in a menagerie of paneling and wooden sticks. The walls and roof are typically installed last. Many of these recreational vehicles feature a meager 12-month warranty. 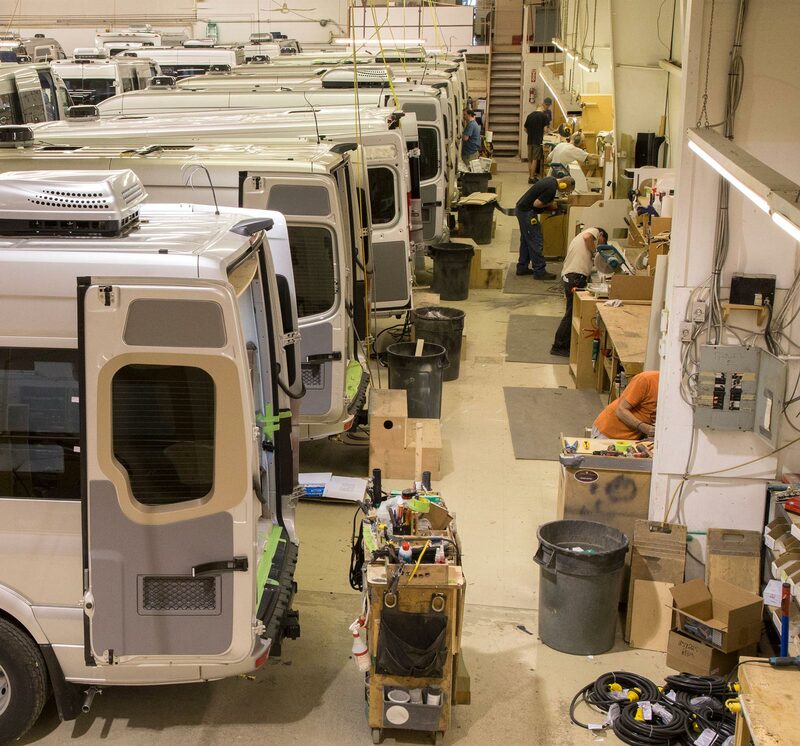 At Pleasure-Way, we are proud to say that we build our motorhomes to last, and that our manufacturing process reflects this. We cannot imagine using a process that employs staples as a way to adhere surfaces and cabinetry. Wall partitions, end gables and upper cabinets are all screwed together and fastened with steel angle brackets for superior strength and quality. Cabinets are anchored into the coach subfloor and wall blocking that is adhered to the inside wall to ensure their strength. This extra step adds stability to the cabinetry and it also helps to ensure a more peaceful, rattle-free ride. Pleasure-Way motorhomes are not built on an assembly line; they are built in stalls. Crafting our interiors is a dedicated learning process. Becoming a Pleasure-Way cabinet installer requires a specific skill set, patience, and time. 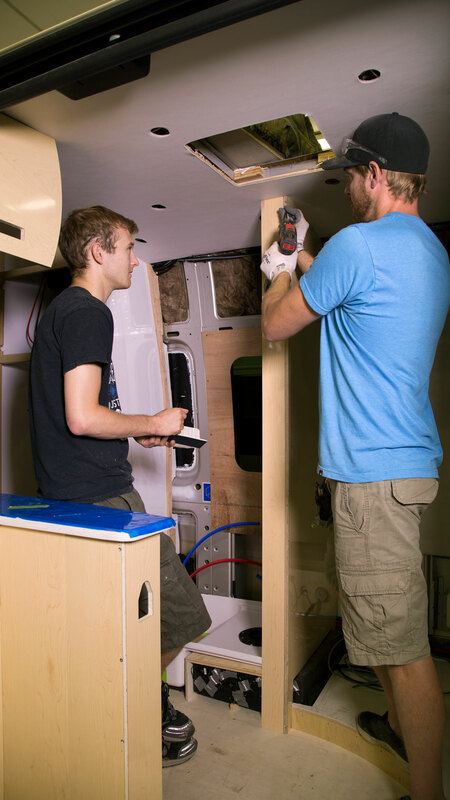 A new installer enters our cabinet apprenticeship program and for the first six months they will work with a master installer. Here, they will learn to hand-fit, measure, and template individual pieces into the interior. They learn our specific and detailed process of cabinet installation for only one specific model. Once an apprentice has progressed through the program they then begin mastering their craft by working on a single model over several years. 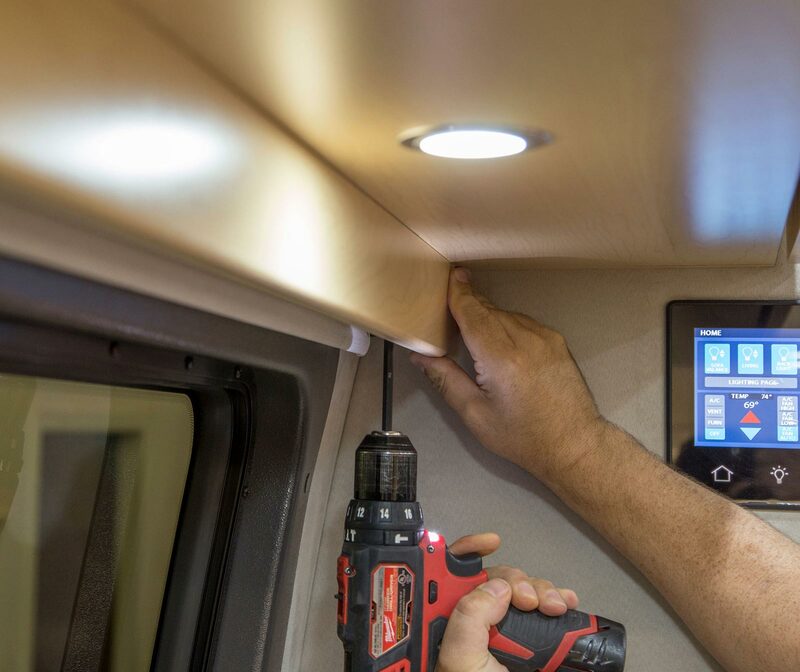 As a result of this approach to training, meticulous measuring, and hand-fitting, our custom cabinets precisely hug the interior walls of our motorhomes. Pleasure-Way has a very complex system of checks and balances, which serve to promote the highest level of quality control. Every craftsperson who has worked on any part of the construction of the motorhome signs off, confirming the work they have performed. 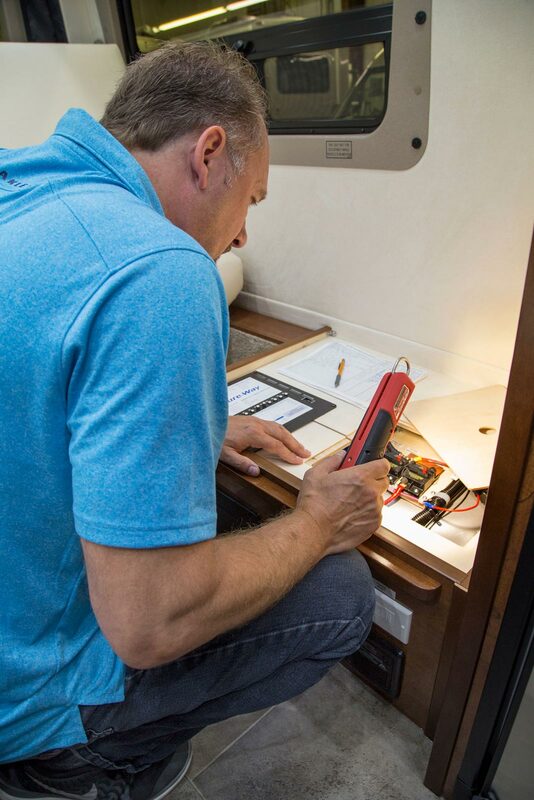 Our quality control team audits every coach we produce, and every craftsperson’s work on that motorhome must meet rigorous standards. In the event that a deviation is found, an appropriate team member is called upon to correct the issue, then sign off again to confirm that the matter has been resolved. This meticulous process holds all team members accountable for their work and allows us to quickly adapt to product changes or design improvements. This meticulous process holds all team members accountable for their work and allows us to quickly adapt to product changes or design improvements. Our most rigorous quality control system comes from our craftspeople who take so much pride in their work that nothing but the best will do. This is how dedicated they are to creating the best possible motorhome. The final stage of the quality control audit is a test drive. We do this to ensure we are happy with the handling and ride of each coach. Once this is completed, we deliver each coach to the respective dealership, via a flatbed transport truck, ensuring the coach arrives in premium condition as expected. This allows you to be the one to personally “break in” the chassis of the motorhome, rather than a third party delivery driver. Pleasure-Way is so confident in the motorhomes we design and construct that we back them by the Pleasure-Way 5-Year Freedom Coach Warranty. 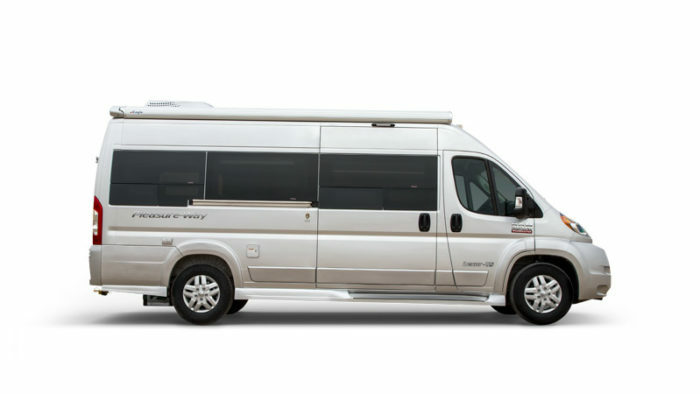 Pleasure-Way is so confident in the motorhomes we design and construct that we back them by the Pleasure-Way 5-Year Freedom Coach Warranty. As part of our complex testing process, every coach is “seal tech” tested. We test the coach for water leaks by installing the seal tech machine. This machine pressurizes the inside of the motorhome forcing air to expand outward. Once this is in place, we spray a combination of water and soap over the entire exterior of the coach. If any water leaks are present, they are easily identified by large soap bubbles formed on the coach exterior. This critical procedure is vital to our quality control process.